M 1000 x 668px 2 Mb. XL 6016 x 4016px 15 Mb. 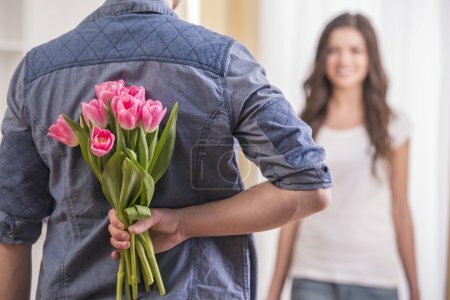 The young man is hiding flowers behind their backs to his girlfriend at home.